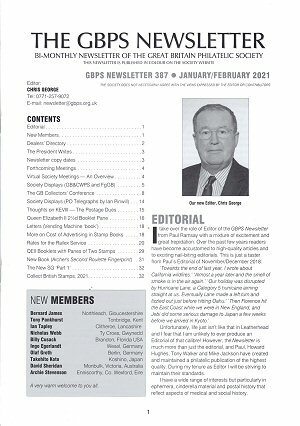 The GBPS Newsletter is the general information magazine of the GBPS, keeping the members up to date with Society news and events, and publishing notes, queries, and opinion articles on a wide range of topics. An extensive and forthright debate on shades! When is a letterbox not a letterbox? There are six issues a year, sent free to all members along with the GB Journal as a part of their subscription. The editorial contents of some sample older issues are available to download in Adobe Acrobat PDF format -- see the menu at left.